In the United States and in most countries, chlorine in some form is added to the water supply to disinfect it. Chlorine is a very volatile chemical and it can easily disrupt other chemicals and organisms, making it very effective for killing microbes. Normal chlorinated water is safe to drink, but some applications – such as home brewing – require non-chlorinated water. 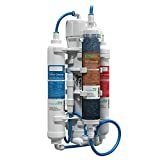 While the process of reverse osmosis itself does not remove chlorine, most reverse osmosis systems that are available to purchase contain carbon filters which do remove chlorine. Chlorine is added either as chlorine itself or as a chloride, which is a compound that contains chlorine. The amount of chlorine varies. Since the chlorine reacts with impurities in the water, there has to be enough chlorine to react with all of the impurities. There also needs to be enough time for the chlorine to come in contact with everything it needs to disinfect. Simply dropping chlorine in water is not enough – it needs to take its time, too. It’s also a good idea to add a little extra chlorine to maintain residual disinfection for any pathogens that get into the water after the initial disinfection. A good guideline provided by the Water Research Center is 0.3 to 0.5 mg of free chlorine per liter of water. Chlorine itself is very easy to remove – since it’s a gas dissolved in water, simply leaving the water out uncovered will let the chlorine evaporate. Chlorides are harder to remove. They’re already chemical compounds, so they won’t evaporate. Instead, they need to be removed with a filter. Reverse Osmosis itself can’t remove chlorine and chlorides. Instead, RO systems have special filters that contain activated charcoal(carbon) which remove the chlorine before it goes into the reverse osmosis process. 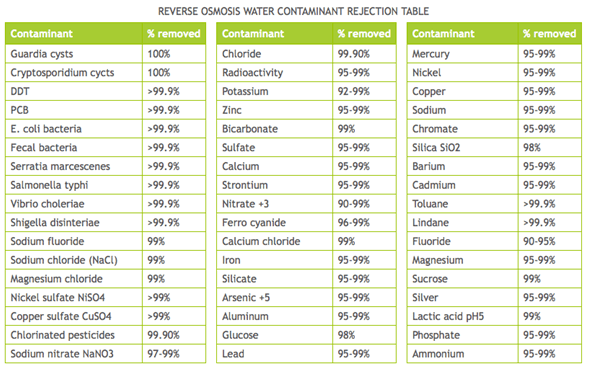 To understand why RO can’t remove chlorine, we’ll have to first see how reverse osmosis works. Obviously, reverse osmosis is the opposite of osmosis! Let’s say you have a container of water with a semi-permeable membrane dividing it into two parts. A semi-permeable membrane is a membrane or divider that allows some molecules through but doesn’t let others through. Usually, the smaller molecules can fit through, and the larger molecules don’t. If you added a substance to one side of the membrane – say table salt – then water on one side is now “purer” than water on the other side. At this point, a process called osmosis kicks in. Water molecules will move across the membrane until the concentration of water molecules is equal on both sides. This is why your fingers shrivel up after a long time in the shower or pool. The water outside your body is less concentrated than the water inside, so osmosis causes water to flow out of your cells and into the pool/water on your skin from the shower. This is nature’s way of balancing out things. When the water molecules move from one side of the membrane to the other, there is a bit of pressure as the water moves from one side of the membrane to the other – this is called osmotic pressure. 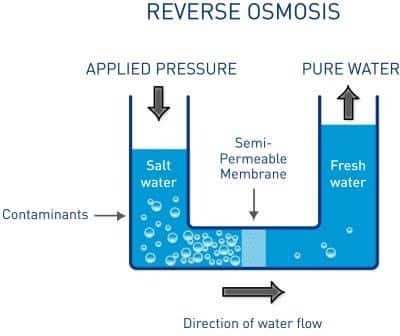 In reverse osmosis, you’re applying pressure greater than and in the opposite direction as osmotic pressure, forcing water the other way – from the side with less concentration to the side with greater concentration. To make this work, there is a highly specialized membrane in the RO system. This membrane is damaged by chlorine, which is why RO itself can’t remove chlorine. To make products a full solution, manufacturers add a carbon filter that the water passes through before the water reaches the RO membrane, so that the chlorine is removed before it comes in contact with the membrane. In normal quantities, drinking chlorinated water is perfectly safe – if it weren’t, it would not have been added to our drinking water systems! One side effect of chlorine is that its chemical reactions sometimes produce by-products such trihalmethanes (THMs) and haloacetic acids (HAAs), which are possible health risks. It should be noted that these are not risks from chlorinated water. Rather, they are risks from chlorinated water where THMs and HAAs have formed. Not only that, but this is where the consumption was over a prolonged period of time. Because of the health risks associated with chlorine disinfection, many water supplies in the USA are using chloramine(a compound of chlorine and ammonia) instead of chlorine. Chloramine is as effective as chlorine in removing contaminants, but it is harder to remove from the water than chlorine, and it still has the distinct taste and odor of chlorinated water. Further, there are still some health risks. For example, people with skin disorders should avoid using chloraminated water. 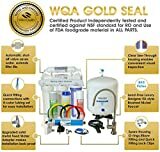 Will my RO system have a chloramine filter? 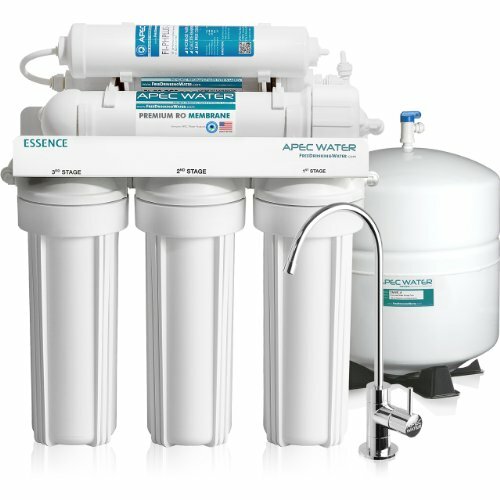 You’ll have to check before you buy – the standard carbon filter does not remove chloramine as effectively, and for removing chloramine, you’ll need a specialized filter.